The City of Miami is a seven car trainset that ran the Chicago-Miami route. This train was delivered in a striking yellow/green/scarlet paint scheme with a matching EMD E-6A unit. 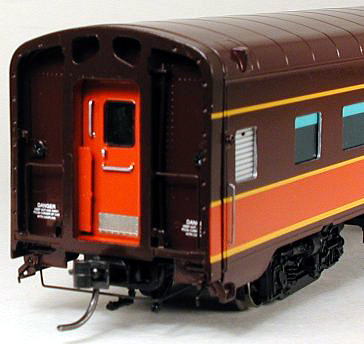 Railway Classics is pleased to produce the City of Miami in both the original scheme as well as the later brown and orange scheme. We have also have produced the Panama Limited and the five EMD E-6A diesels that powered these classics. "Superb in Beauty...Supreme in Comfort...City of Miami."